Windows 2008R2 has finally let me down. For some time now it has been my most-favorite Microsoft OS since MS-DOS 3.0. Administrator- and developer-friendly, stable, performant, reliable. Until now. 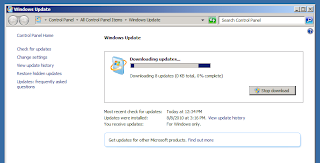 For a week or so now, since the off-schedule high-priority Microsoft updates 2-3 weeks ago perhaps, I have had a six-month young Windows 2008R2 Standard (x64) machine (Hyper-V image) that refused to download updates. Despite doing some minor cleanup, service tweaking, rebooting a few times, it was just plain stuck. Though I had not had the "opportunity" to experience an issue with Role Management, I was simply concerned with getting Windows Updates back to up-to-date, after days of frustration I came across this MSDN forum post that led me to a working solution. I worked through all steps of the post marked as answer, finding that an in-place "upgrade" was apparently the only solution that worked in my scenario. 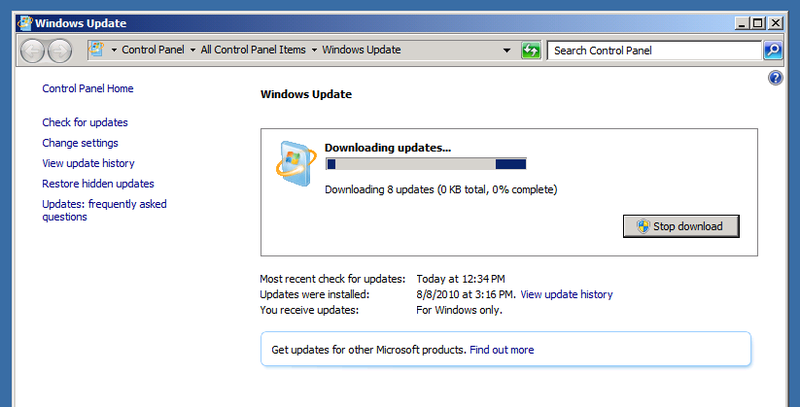 This is rather disappointing -- up until now, Windows 2008R2 had never failed me.